Artist-turned-medical-educator Alexa Miller is a leading voice for observation and inquiry practices in medicine, and for their cultivation in arts experiences. An original co-creator of Harvard Medical School’s Training the Eye: Improving the Art of Physical Diagnosis, a course that produced researched outcomes on the impact of arts experiences on medical student learning, Miller has worked with medical learners and faculty in arts settings since 2003. Miller’s consultancy, Arts Practica, creates experiential learning opportunities that allow leaders, practitioners, and teachers in healthcare to be more effective and mindful in uncertainty. Driven by a strong personal interest in misdiagnosis and the intelligences that contribute to diagnostic safety, she serves on the Education Committee for the Society for the Improvement of Diagnosis in Medicine, where she will also serve as a 2018-2019 fellow. 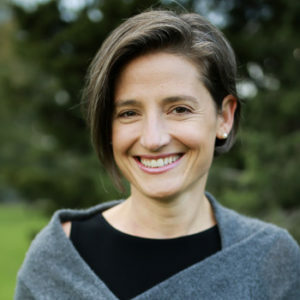 Formerly Curator of Education at the Davis Museum, Alexa has taught undergraduate courses in Education at both Brandeis University and at Wellesley College, and facilitated a weekly Lab Group in the Interpersonal and Group Dynamics course at Yale School of Management. She received her BA from Swarthmore College and her MA from the Wimbledon School of Art.